Located in the heart of the Tampa business district, Associated Watch & Jewelry Buyers has been a fixture in the community for many years. We’ve built our impeccable reputation by selling fine quality jewelry at fair prices and offering outstanding customer service that only a family run business can offer. 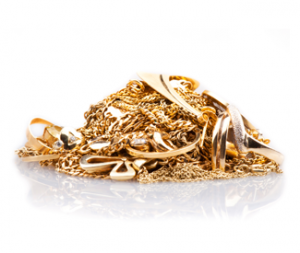 We make selling your gold in Tampa a simple, easy process. When selling your gold, fine jewelry, diamonds, platinum or watches to Associated Watch & Jewelry Buyers, know that we go to great lengths to ensure that your jewelry is handled with the utmost care. Associated Watch & Jewelry Buyers is a world-wide leader of buying gold, diamonds, watches and fine jewelry. We provide immediate payment to you through discreet, safe and professional buying procedures. As large gold buying specialists with an impeccable track record, you are assured of dealing with a quality company when you wish to sell your gold, diamond jewelry, or watch in Tampa or around the world. Expert jewelry buyers of “signed” pieces such as Cartier, Tiffany & Co., etc. We will promptly provide you with a no-cost, no-obligation jewelry, watch, diamond or gold value consultation if you simply fill out our Online Appraisal Form with as complete information as you have available. Selling your gold in Tampa is really that easy!